Tax money? Check. Line skipping? Check. Free stuff? Check. A social "get out of jail free" card? Checkity check. All because you didn't wear a jimmy. Or worse, you wanted one! You don't sleep? Wahhh. I stay up just because I can. You have to buy clothes and food and toys? I buy 400 dollar microphones on a whim you fool. Disaster. We all saw it coming. Pumping out a mid-budget reboot to save a couple million then, SHOCK, you make less than 25% back opening weekend? You had a long awaited sequel, an end to a trilogy, a willing director/writer and actors, and the new cinematic age of superheroes. But you didn't want to pay for practical effects or established actors. You had it! For 10 years you HAD it. And we end up with this. Ah enthusiast forums. Where everyone knows everything and everyone else is a moron. A place for professionals and amateurs alike to get together, yell at each other, and join in bizzare brand loyalties. That's maybe the oddest part. The same people that spit vile at big companies are the same to call you a shill and neanderthal for preferring XBOX over PlayStation. BOOM. BOOM. BOOM. BOOM. BOOM. BOOM. BOOM. BOOM. BOOM. BOOM. BOOM. BOOM. BOOM. BOOM. BOOM. BOOM. BOOM. BOOM. BOOM. BOOM. BOOM. BOOM. BOOM. BOOM. BOOM. BOOM. BOOM. BOOM. BOOM. BOOM. BOOM. BOOM. BOOM. BOOM. BOOM. BOOM. BOOM. BOOM. BOOM. BOOM. BOOM. BOOM. BOOM. BOOM. BOOM. WHAT A WONDERFUL WAY TO WAKE UP. All this and more on this week's galactic episode! 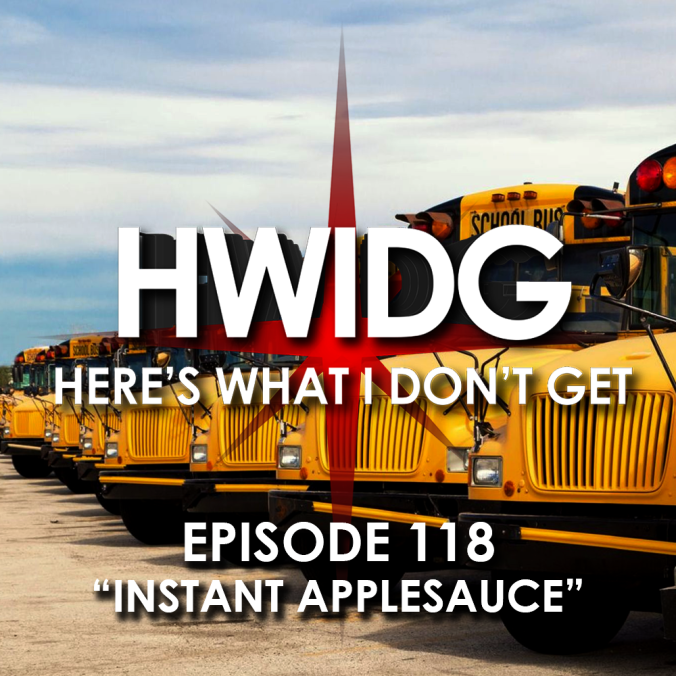 Voicemails, Star Wars, and more! Don't forget to check out our DISCORD, or support us on PATREON! Some things, like Pandora's box, can't be closed once opened. Others, you just stare in amazement at how they packed it all in. Pre-lit Christmas tree? Impossible. The box is busting at the seems and covered in duct tape and rope. Inflatable mattress? The box looks swollen, and you keep the pump next to it instead. The solution? Burn it all. You need no possessions. Speeding tickets, aka police department cash flow. It's the gateway crime. Best case scenario, you're a pure Angel and the officer is feeling good and you get a warning and drive purposefully slower for the rest of the day. Oh, but, is that a hint of weed I smell? Gotta check the whole car now. And I bet this is strawberry jelly, isn't it? Yeah, yeah, we've heard it all before, "it's just an incredibly lifelike mannequin", "she tripped and fell into the jnife and ropes and into the trunk" tell it to the judge. Usually, I'd put a humorous thing about Dr. Pepper or how the guy in the 1988 commercial dances here, but I wanna be real for a second. Growing up, Tab and Tim both recall seeing a PSA for abuse during those Saturday morning cartoon blocks. It was filmed in sepia tone, and set to R.E.M's song Everybody Hurts. They tried. They looked. Tim is still looking. He hasn't slept in 4 days. He's found obscure things from his childhood before and damn it he'll do it again. Anyways, let us know if you remember it as well. Maybe it's one of those Mandela effect things. YouTube is not for you anymore. It's aimed at you though. It used to be a community. Now, it's a platform. And just like any platform, it's aim is to sell you subscriptions and feed you ads. And what way better to get you to stay there than those mythical beings that the masses fawn over, the Celebrity. If Will Smith vlogs, I can do it too! Yeah, but his payout isn't even a drop in his bucket, and you'll take years to get 1,000,000 subs, and that's if you're one of the ones that even gain a following. Newsflash, he's got a whole team helping him out. Your webcam isn't the same as a Blackmagic Pocket Cinema in 4K. All this and more on this week's episode, including some behind the scenes commentary tales. 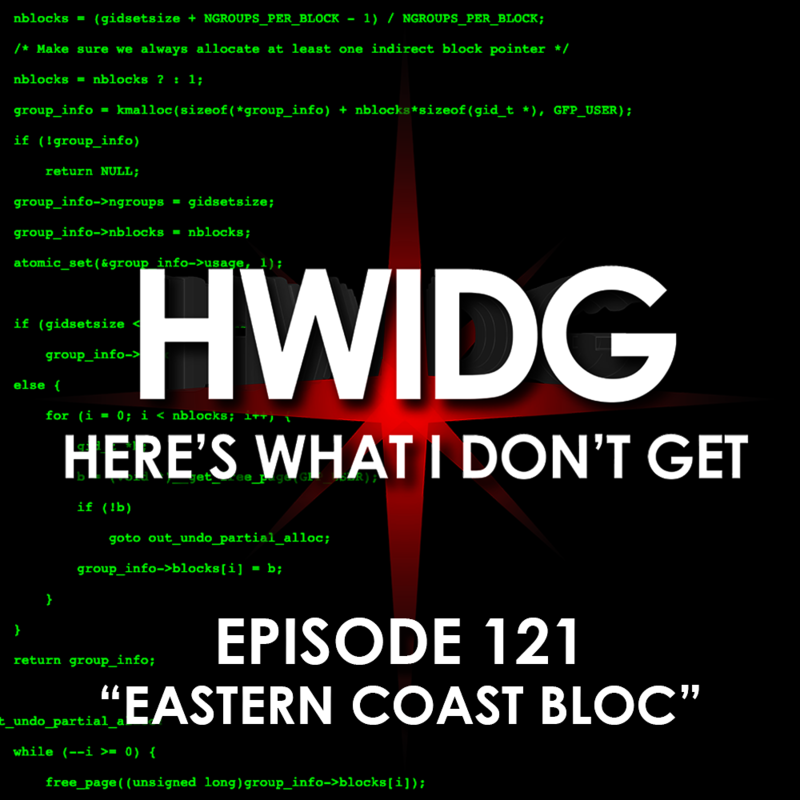 For even more HWIDG you can support us on PATREON, or check out our DISCORD!